You can win a MILLIONS South America package worth a whopping $12,000 on partypoker! The brilliant package consists of a $10,300 MILLIONS South America Main Event seat, and $1,700 in travel expenses to ensure you make it to Rio in style. The MILLIONS South America Satellite Final is held each Sunday at 21:00 GMT, and will award no less thanTEN $12,000 packages to MILLIONS South America each and every week. Those Satellite Finals have a direct buy-in of $1,050, but don’t worry if you want to play something cheaper. Every day there’ll be $109 buy-in Phase 1 satellites, plus ADDED value feeders starting from $3.30. The MILLIONS South America satellite action started on December 27th and will continue until just before the festival starts. To register for any of the MILLIONS South America satellites, open up partypoker, click on tournaments, then tick the satellites box and simply scroll down to find your chosen satellite and register. It’s that simple! There are also partypoker’s famous PP LIVE Dollar satellites running now, which give you the chance to win up to $5,000 to use for buy-ins, travel, visas or accommodation. MILLIONS South America is going to be incredible. 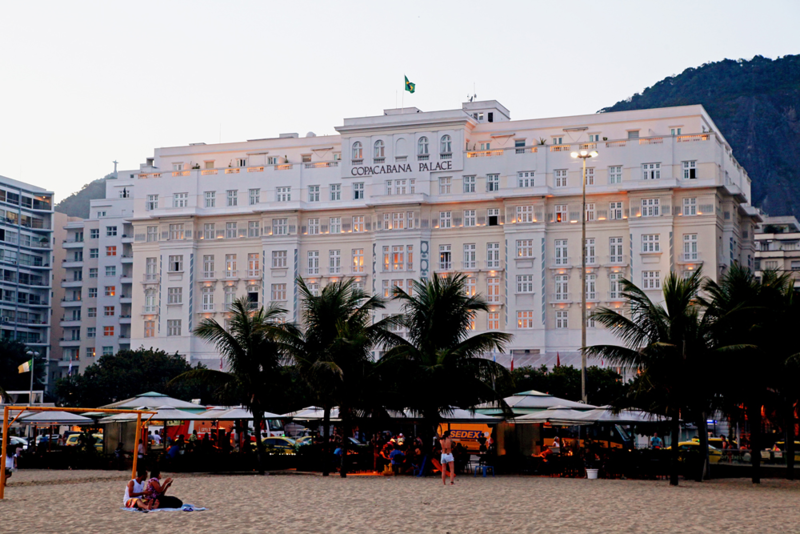 Held in the world-famous Brazilian city of Rio de Janeiro, the action will take place at the stunning Copacabana Palace Hotel, located on the seafront right on the incredible Copacabana Beach. The hotel boasts 239 rooms and suites, a Michelin-Starred MEE Restaurant, Ristorante Hotel Cipriani, a half-Olympic-sized pool, or if you'd rather wander down to the beach, you can enjoy the sands in the comfort of the Copacabana Lounge with exclusive sun loungers, umbrellas and water for all hotel guests. With $7 million guaranteed across the festival’s twelve terrific tournaments, the poker action is not to be missed! Apart from the $10,300 buy-in MILLIONS South America Main Event, also included on the schedule are Super High Roller, High Roller, PLO, 6-Max, Bounty Hunter, and Ladies events. Make sure you don’t miss out on the fun – win a package to MILLIONS South America now!